Looked at your calendar lately? Of course you have. And what you discovered is summer— less than two months away—sort of sneaked up on you. I feel a knot developing in my stomach just thinking about it. 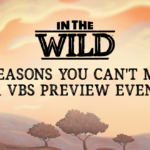 With so much to do, and so little time to do it, you might be tempted to throw your hands up and declare it is just too late to pull off VBS this year. You could jump in with both feet and let instincts determine hasty actions. Or, you could take a moment to finish reading this post. What you need is step-by-step actions to guide you through the process, while at the same time challenging you to give thought to why you are doing what you are doing. LifeWay’s Administrative Guide for Directors is designed to make VBS planning thought provoking as well as easy using Six Simple Steps. Here’s the steps with some of my own ideas to help you make 2016 your best VBS ever. Determine why VBS is important to you and your church. Having a clearly defined and promoted “why” will increase congregational buy-in as well as the effectiveness of enlistment. Create two or three stretch goals that insure VBS aligns with the overall goals and vision of the church. 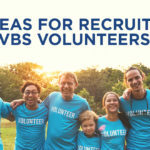 Sell the congregation on why and how their participation helps accomplish both the goals of VBS and the goals of the church. 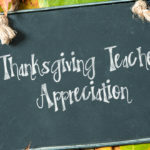 Spend time looking beyond the title and graphics of your theme to determine the true message of the curricula. For example, when you examine LifeWay’s VBS 2016 Submerged: Finding Truth Below the Surface™, you will discover the Biblical content has nothing to do with an underwater adventure. The theme of Submerged™ is all about your heart and what Jesus sees when He looks below the surface of you. Start by making your plans reflect your goals instead of forcing your goals to compliment your plans. Creating stretch goals and working to meet them will insure your VBS is fresh and exciting. Failing to do so results in the second verse of last year’s song. Enlist a leadership team that represents all ministry age groups from preschool to adults. By diversifying the team beyond kid’s leadership you make VBS a church-wide event and sit the stage for continued connections with unchurched kids and parents alike. Structure your planning team to include leadership for publicity, VBS Family Celebration, and continued connections (follow-up). With only two months to plan it will be tempting to take on the responsibility for these three areas yourself, but there is real danger in doing so since you will most likely be overworked to begin with. Challenge your planning team to dream possibilities instead of settling for the limitations of the budget or simply putting a new theme title on what you did last year. Create jobs for people who can only give time prior to VBS, for a few minutes during the VBS day, or the days following VBS. We often do more work ourselves than needed because we fail (or refuse) to include people who are not available the week of VBS. Make training an expectation and mandatory. Provide training opportunities multiple times to insure everyone has a chance to participate. Train for vision as well as job specific skills. Help workers understand the why and potential of VBS and how their participation accomplishes stated goals. Equip every worker—including the snack and registration team—to share the gospel. It might be the snack lady a kid is most open to talking to about what it means to have a relationship with Jesus. Make training sessions worth the participant’s time. Prepare for training events to the same degree you expect workers to prepare for their assignments. Promote VBS to the congregation and publicize VBS to the community. Since word of mouth is the very best way to publicize VBS, you need the help of every member of the congregation. To get the congregation on board you need to spend as much time promoting the ministry to them as publicizing the ministry to the community. Give a team responsibility for publicity, unleash their creativity, and get out of the way. Publicity is a good job for people who will not be available the week of VBS. Promotion and publicity is more than a one-time event. We are bombarded by thousands of messages each day. To get your message across you have to say it often and in as many ways as possible. Provide a variety of ways (events, online, mail or phone) families can register. Make registration as convenient as possible. Train the registration team to get complete information on every person. Help registration team members understand the importance of their jobs for both VBS and follow-up. Continued connections (follow-up) doesn’t automatically happen. When an unchurched family participates in VBS they have initiated a relationship with the church. It is up the congregation to take steps to continue connection. It must be intentionally planned and executed. Continued connections begin well before the first day of VBS. They begin with VBS publicity and actions of the parking lot, registration, and greeter teams. For continued connections to be successful the VBS leadership team has to adopt the philosophy that VBS is not the event. VBS is the actions that make the event (continued connections) possible. 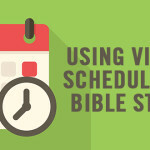 Can you pull off a great VBS in two months? Sure you can, and thinking through and putting purpose to why you do what you do, you can make 2016 your best VBS ever. Jerry Wooley is the VBS GUY! He serves as the Vacation Bible School Specialist for LifeWay. Don’t expect to talk with Jerry for too long without him asking about VBS. Jerry loves the local church and serves as a 1st-3rd grade Bible study teacher his church.